I wish you all a happy spring. While I certainly do not hope for the next seven months to speed by, the Society for Immunotherapy of Cancer’s 34th Annual Meeting & Pre-Conference Programs (SITC 2019), to be held Nov. 6–10, will no doubt be here before we know it. Registration is already open for SITC members (and opens for all on April 9). This is our society’s cornerstone conference, and this year we return to the Gaylord National Hotel & Convention Center in National Harbor, Md. I am already excited to see and welcome back existing members and to meet the new members of our Society. Last year, 5,000 professionals in the cancer immunotherapy field attended our Annual Meeting & Pre-Conference Programs, a 36 percent increase over 2017. Similarly, we received nearly 800 abstract submissions, a 34 percent increase year-over-year. For me personally and I’m sure for all of us involved in the Society, it has been astounding to witness the growth of our annual gathering of basic scientists, translational researchers, clinicians, industry and governmental representatives and others in recent years. High Impact Clinical Trials: Friday, Nov. 8, 4:50-6:15 p.m. Single Agent Phase 1 Clinical Trials: Saturday, Nov. 9, 3:45-5 p.m. Combination Phase 1-2 Clinical Trials: Saturday, Nov. 9, 5:15-6:30 p.m.
More than 16 months of planning and preparations go into each Annual Meeting. Dedicated committee members, lead by Annual Program Committee Chair Sandra Demaria, MD (Weill Cornell Medicine), and assisted by the Board of Directors and faculty, work tirelessly to ensure program schedules contain impactful data and meaningful panel discussions. It’s this devotion and enthusiasm that brings the highest quality data to the SITC’s Annual Meeting & Pre-Conference Programs. For immune therapy of cancer, I believe it is the most influential conference in the field. Please join me in congratulating our recently announced 2019 Richard V. Smalley, MD, Memorial Award and Lectureship recipient Olivera (Olja) J. Finn, PhD, of University of Pittsburgh School of Medicine. Dr. Finn will deliver her highly anticipated keynote address during the Annual Meeting, on Friday, Nov. 8. 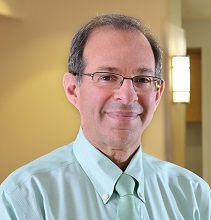 I’m also very pleased to announce that Ronald N. Germain, MD, PhD, of the National Institutes of Health, will deliver Saturday’s keynote address. Please remember that SITC members receive discounted SITC 2019 registration rates and early access to housing. There are so many reasons to become a SITC member, and the savings for attending just part of SITC 2019 will more than cover the cost of a membership. So don’t wait, join SITC today to save on your SITC 2019 attendance. Although our Annual Meeting & Pre-Conference Programs is our most highly attended program, we offer a variety of other opportunities for education and scientific exchange throughout the year, including interim workshops. Two exciting and timely 2019 workshops – dedicated to cancer immune responsiveness and adoptive cellular therapies – are scheduled for Sept. 4–6, 2019, in Houston, Texas, and registration is now open. Participants who attend both back-to-back workshops will receive a 30 percent discount on registration.